How many ways are there to remove the tool from your pc? Serial? Network cable? directly over a network? Wi fi? Here are the possible ways, in order of increasing cost. – Three channels X/Y/Z + 5Volts to feed the GeoPreamp or the accelerometer. – With three GeoPreamp this shielded cable may be several tens of meters. – With LIS344 this might be ten or twenty-metre long shielded cable. – Use shielded cables with shielding separately for each internal wire. – At the end of the cable (near the Master up some centimetres) cut all three signal wires with three resistors in series from 100 k. These resistors eliminate the danger of high voltage disturbances, generated by the magnetic coupling of the long cable with the lightnings, during thunderstorms. The resistors also eliminate any high voltage disturbances, during the switching on and off of large loads, connected to the electrical. 2) A Theremino Master near the PC and a Theremino Slave in basement. – The shielded cable should have only two wires inside DatiSeriali and Alimentazione5Volt . – The cable can be up to a few hundred metres. 3) A eeeBox (or a NetBook or a PC card) close to sensors, wireless Internet access. – Quite complex to get the UDP and the network settings. – Risk of losing data if a neighbor uses the same WiFi channel. 4) A eeeBox (or a NetBook or a PC card) close to the sensors and a network cable. We recommend the version 1 that is the most reliable (fewer parts there are less problems you have). Possibly the version 2, to go up to hundreds of meters. A radio version would be more attractive. But a Setup like that deserves a nice stable cable. So you have to bring feed in any way and you can't do it via radio. Never put cables in the same pipes or electrical conduits. Use shielded cables with a screen for each internal wire. For example two flat with two separate cables every flat. Or check spellandoli shielded cables: Must have each wire inside with copper wrapped around. Use shielded cables and large enough, Why are more robust to traction during installation. At the beginning and end end the shielded cable with standard extension cables cut in half, to have females on one side and the other males. The connection between the wires and the wires of the shielded cable extensions, is made by welding and isolating the individual wires, with Thermo-shrinking sheath. Hello and congratulations for the blog. I need opinions: I intend to use the geophones which already possess, wonder if it is possible without buying the amplifiers. Do you think it can be done? Of course you can, but at least the Master module takes, otherwise you wouldn't how to plug your pre, via USB, to your PC. The channels of the Master module (1 channel or three channels, up to six at most) will be configured as Adc16 using application HAL. I don't know what the output signal emit your preamp, Maybe they have an output from 0 to 10 Volts, in that case a voltage divider composed of two resistors (20k in series with the signal and 10 k to ground) to convert the signal. Whatever the output of your pre is always possible to do a conversion like that with two or three resistors. Write me that I can give you more detailed instructions and emitting signals. Geophones are chosen according to the Lotus using, the key parameter is the natural frequency expressed in Hz. 1 Hz: Are used in Geophones seismology, have a linear spectral response 1 Hz to over 100 Hz. Are suitable for professional seismic stations, have a high cost and damping times very slow. Not useful for the hobbyist. 2-4 Hz: Are micro-tremors measuring terrestrial Geophones, very delicate, expensive and difficult to manage. 4.5 Hz: Great for seismological use, for active and passive seismic, HVSR testing and seismic monitoring. from 8 to 16 Hz: For active seismic, Geophones are recommended by 4.5 Hz because higher performance, Although slightly more expensive. from 20 to 100 Hz: for the seismic refraction. vertical geophone useful for seismology (for seismograph for 1 channel), seismic reflection, seismic refraction, masw, Remi, ESAC, seismic environmental monitoring. horizontal Geophones When you want to monitor particles types of seismic waves that propagate horizontally on the ground. In case you want to have the three seismic components along the x-axis,Y,Z are needed Geophones 3D, or simply three capsules geofoniche, of which 2 horizontal (x,y) and a vertical (z), all three Geophones must have the same electrical parameters. Useful for 3D seismology hobby craft (better if from 4,5 Hz), seismic monitoring, HVSR, seismic tests and for all those who need to detect the three basic components of a seismic event, both natural and artificial, induced by human action. No electrical tomography instrumentation currently to perform SEV. With the theremino I need to be able to handle an rgb led and three relays for a total of 6 output pin. Then I need another four incoming analog pins. by a pin capture the value of current and other 3 PIN voltage. can fit ? allows me to measure current. 2° to measure voltage differential signal what do I need ? 3° If I measure the voltage of a stylus as I connect to analog pin ? of course I have to be able to measure by reversing the polarity of the stylus. Robot Italy converter provides 185 MV per Ampere. Our ADC have a resolution of about 1 MV (even a little’ less but the accuracy gets worse). We claim to be able to measure up to resolutions of approximately 185 UV. It follows that the current minimum measurable will be about 1 but with little accuracy. And I believe the induced currents, You should measure, are much smaller than 1 mA. 1) Need a Master and a Slave Servant. With these two modules you would have a total of 16 Generic INOUT. Of which up to 14 configurable as ADC. 2) If you don't use a pre differential (both the tense for the currents) You can only measure positive and positive currents voltages. In addition, without pre differential, the voltages and currents are always measured “related to mass”. That is one of the two, Let's call them “test leads”, is the pole GND, that is also the mass of computer. And that completely distorts the measures. 3) To measure both positive and negative voltages and currents it takes a differential pre. Hi, I saw your voltage adapters. to me it would take one to two stabilizers 5 and the other to 3.3 volts. According to you are able to provide a stable voltage, comparable to your adapters ? Or you can indicate your voltage adapter similar to those to be used with the system theremino ? While on our Pin voltage is 5 Volts. The solutions we recommend are carefully studied, It pays to use them. And’ can auto-build the modules, Maybe on veroboard or with adhesive copper tape. ThereminoVoltMeter described in the project “Geoelectrical data surveys”. This is a problem, for forms F and G.
can be used to measure voltage and current above i.e., fit the Surveys project geoelettrici. The modules that you saw are not suitable, resistor values for other courses. May work but it would be difficult to adjust the trimmers. You may change how changing the resistors, but it's hard because i'm tiny and SMD resistors. I would be very interested in the project for the polls geoelettrici [ https://www.theremino.com/hardware/inputs/geology-sensors#geoelectric ] but I did not find any application to operate all this hardware. Has not yet developed a software to drive the hardware and take measures with the various methods (Wenner, Dipole-Dipole) ? The only part that was made (and proven) are the examples of Theremino Script that emit the sequence to drive the relays. This project has a very low ratio of “results” and “complexity”. We started without thinking, but then we realized that it is not our style. We're just doing projects that provide great performance but simple. If you cannot make it simple we prefer not to make them. And this mammodrone you can't just do that simple. Is necessarily a box exaggerated, with ten PCB, 24 connectors, an exaggerated number of relays and hundreds of meters of cables. Apparatus of the same kind is better let them do at companies that already make them. And’ true that cost so much, but also our cost so much in production. Even if we did that we, It would cost even more, because we don't have the decades of experience that have their, constructing boxes. The only part that could be a little’ hard to write, is sending the signal to toggle the relay. Then we wrote various trial versions, the best starting point should be "ReleDriverV3." vb "
In all cases the submit method of the bit is always the same. I wanted to propose an article to clear my doubts. See what I mean use of Geophone that have an impedance of 1800 and 4000ohm is always welcome your preamp with this type of Geophones? Also I wanted to know. 1.What is the input impedance of the preamp? 2.What value to use amplification? 3.has a wiring diagram of your current preamp? 4.Come on 10 Hz up com is’ the signal-to-noise ratio and the response of the preamp? The GeoPreamp is suitable for Geophones any impedance, because its input impedance is always greater than needed, for optimal damping of geophone. It follows that, to get the exact damping, You "should" add a resistor, welded on the two pins of geophone. In practice this second resistor, should be calculated in parallel, the input impedance of GeoPreamp and together, should get the exact damping value, specified in the data sheet of geophone. 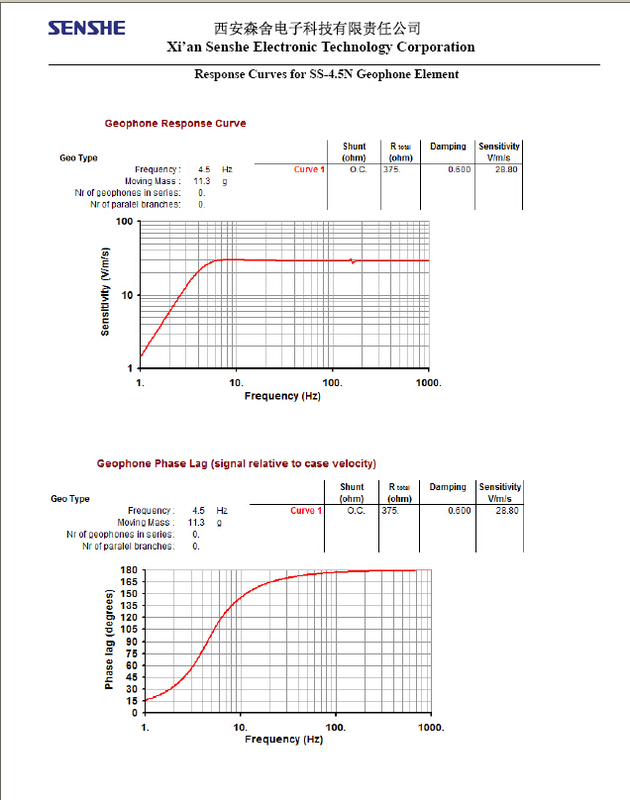 We wrote "you should", but since the input impedance of the GeoPreamp, is not much greater than that required by normal Geophones, Basically you get reasonably good damping, and the results of the analyses made, with or without the exact damping, are basically the same. Depending on the type of measures that are, and holding a degree from the saturation level. 10 000 – Only HVSR in sites away from car traffic and all human activity. 1000 – In all cases of seismic analysis. Even in low noise. 100 – Earthquakes (excluding local earthquakes), very noisy building and measuring equipment India. The advantage of accelerometers, is to have a perfectly flat passband, up to 0 Hz, and not to saturate, even with the strongest earthquakes (Geophones in these cases fighting on internal travel fund). The JFet have a very low current noise, Why are designated for transducers with very high impedance, but with "very high" means mega ohm, not 1800 or 4000 ohm resistor. On the other hand, Jfets have a higher voltage noise. So just compare the data sheet (but better yet to try in practice), to see that the LT6014 is very, any JFet operational amplifier, When used with "regular" Geophones. This "normal" indicates that the child-friendly Geophones JFet, should have an impedance, of at least 100 Kohm, to take advantage of the current low noise JFet. About noise of JFet there is also to consider that the LT6014 used in GeoPreamp has a very low current noise (about 0.2 PA/sqHz) much like the JFet, and that this current noise, It only produces a voltage of 1 NV/sqHz when applied on Geophones from 4000 ohm resistor. In practice, Since we always talk about low impedances (from 1000 to 4000 ohms are not high impedances) the current noise always has a negligible effect and you must consider only the voltage noise. The differences are not great, Basically you would see no difference in results, but the LT6014 is preferred because it has a low noise below 10 Hz, where the Geophones give little signal. When you switch from data sheets to the practice, a good design must take into account, also other factors, In addition to the pure uVpp. And many factors make the upper LT6014, than any other similar operational. The LT6014 works with single power supply, starting from 2.7 Volts. The AD743 requires, at a minimum, 9.6 volts of power, divided into two branches (positive and negative), with minimum 4.8 Volts per contact. The LT6014 's Rail To Rail (the excursion of the signal, goes from zero to the supply voltage). The AD743 saturated and distorts the signal, If this is approaching and less than two volts from the supply voltage,, both the top and bottom. A LT6014 is double and consumes about 0.25 mA (for two sections). Two AD743 would consume 16..20 mA in total. Given that the AD743 couldn't be fed to 3.3 Volts, You should add a circuit survoltore, to create the dual power of +/-5Volt. And the survoltore (Considering also the inevitable losses) would consume about 50 mA. Switched currents at this level, near a circuit which works with sub-uV noises are unthinkable. Basically use a AD743 would be difficult and very expensive. The PCB would be much bigger and the delicate entrance, would inevitably be disturbed, switching power supply disturbances. 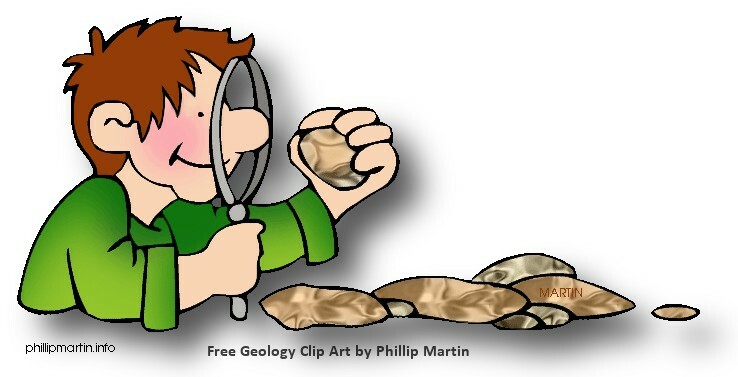 I see in section Geology quotes about how to build such a buyer in 6 channels. Too much grace! I thank you and Angel Dolmetta for what you're doing. My goal is to analyze the dynamic response of buildings through the analysis of micro-earthquakes with HVSR technique using open source tools. NET is available different literature about. C – I entered a LMV358 opamp (https://www.sparkfun.com/products/9816) on each channel of the accelerometer LIS344. On this particular point I must still carry out different experiences of acquisition, Since some have given me HAL block (ver. 5.1) while capturing. Thanks again for your work. Ad maiora. If you add an amp you should feed it to 3.3 Volts, otherwise it might send voltages above 3.3 Volts to the input pins, and block communication immediately. Or you should add a resistor from 33K (small) in series with the SIGNAL wire, located near the input pins. A – 375 ohm resistor: It is just as you say! I should read more carefully: <>. Thanks for pointing this out. I provide to remove the additional resistance. B – Indeed the blockage occurs in the presence of a significant acceleration peak. Please excuse the beginner question: leaving the opamp (Vout) the wire leading to the pin “signal” Theremino I'll insert the additional resistance? But with that tension you're refreshing the OpAmp ? Why not feed them with 3.3 Volts stabilized, that are available on the PCB of the accelerometer? I followed the advice to power on 3.3 V stabilized. Now HAL is configured with 6 Dolfrang adc_16 channels and choose the number of channels to be scanned. HAL does not freeze. Hi, a friend in this period a free access to a fablab and could you clean the pcb for the Gradiometer. I can't tell if the project is concluded. To make the electronic (I would like to take this opportunity) the Gradiometer how many adapters I need ? Our project is a “Magnetometer” and only the last six lines of “Gradiometer with two sensors”. For the sample PDF is just a gradiometer, It is not our project, and we haven't tried. A magnetometer measures the magnetic anomalies of the soil and can be used to construct a map of the underground, revealing underground chambers and very deep deposits. If you walk a lot and it makes a great map you can see even many hundreds of meters deep. To make a gradiometer write us again. – To reveal the weak signal you have to compare the signal of the two sensors with a D-type FlipFlop, as explained in Fig. 8 of the document. Finally the output signal “Q” must be sent directly to a system PIN Theremino. The FlipFlop is powered on 3.3 Volts and the two Triggers don't serve Schmitt. We have never built a gradiometer, the only information the PDF and it will take so some experience in electronics and many experiments to make it work. I.e., how much can be long, so that does not compromise the passage of data packets, especially since we speak of seismic data. Normally the USB specification indicate 3 meters. But we tried several times that the Master can also work well with USB 1.1, with super cheap HUB and also with cables of all kinds (low-capacity not). The longer that we tried was 13 meters (a cable from 3 meters + extension cable 10 meters) and it worked fine. So I would say that until 6 or 8 meters you can stay pretty quiet. But it is said that this is worth getting. Might exist in notebooks and hubs that fail to exceed 5 meters. The only way to know is to try. Try is easy. In all cases, the data is not “compromises” or degraded. If the system is running the data are accurate to the last decimal digit, If it doesn't work, the Master disconnects or fails to report their. …to do whatever you want. But it would be quite expensive and exaggerated, a little’ How to shoot sparrows with nuclear warheads. And’ true that adjusting okay, you could hear the footsteps of a person 50 meters… but it is also true that you should stay away from any human activity. It would be enough to pass a car on a road far away to give a stronger signal of the steps that you want to hear. Then you should reduce the sensitivity to a reasonable level and eventually everything would be more or less like the plates found on the net that light up a little’ led lights when you walk around. And you don't have to bother an Arduino to do it. To make a simple trigger is better not to use the expensive Geophones from 4.5 Hz that we propose, but it's good to use economic models from 10 Hz. And it would also be good not to use our Geo Preamp because it is quite expensive and overly sensitive. If I misunderstood the question write to us again, Thank you. On tiptoe. With typical curiosity I have. A little worried about not being able to get , but fascinated by all this . I created and tested your project Theremino Dolfrang Hvsrl . Now I head to see if, And how ,It is possible to create a multichannel for masw. So here I am asking for help . Hello. Did you ever done something for MASW? Until you are only in software not hardware modules serve but to get signals from the outside (via USB) It takes a Master module. Then you have to throw the application Theremino HAL, that takes care of the communication with the hardware. And finally (in application HAL) You must configure the Pin used as DigIn_Pu (that means digital input with PullUp). And the PullUp is used to pull up the tension when the button is open, so that you can easily connect, with only two wires, without power. I realized with great satisfaction the project theremino Hvrs. Now I would like to transfer this testing applications in hole type Down Hole. Of course you will have to make a completely different container, but I think with a little patience you can carry out tests in hole always using theremino dolfrang. Some advice about ? For this type of application is good to go to Angel Dolmetta. For Mauro – contact me (dolfrang at linero . en ) so I'll let you do some testing to experimental directional analysis to see if everything is OK. I read with delay ( I was on vacation) your post, for the moment it is not possible with the Theremino test in hole as the sampling rate and too shallow to appreciate the arrival times for shallow surveys. The solution exists but is complex, It would be necessary to reprogram the Theremino ( Basically you must drill a reprogramming of the theremino ) that captures putting the acquired data in the pic, and only on completion of a few tenths of a second to transfer data to pc . In this case you could bring the sample rate from the current 500 Hz to 1000 – 50000 samples according to the duration of the acquisition . This Theremino v. 2 could have many other applications copmplementati to Theremino we know what tests integrity of piles, determine the length of the rods, walls and structures inegrità test in Ca, tomographic analysis on blocks of marble columns and/or to see if your are healthy, laboratory tests, geotechnical tests, tomography of tree trunks in anticipation of disease of olive trees and many other applications where you must capture with ADC 16 at high speeds up to 30000- 50000 Hz for short periods of time ( from 0,01 According to 1 According to) not bad lead from 6 to 12- 16 PIN adc 16. That version of Teremino may also be used outside of geology, Geotechnics and Geophysics. I wanted to know if you do or if you already have a 3D scanner. And then when you're selling the V4 theremino. The 3D scanner is not easily accomplished using the components designed until now. Also we don't have experience in the field. So for that kind of research is good to get in touch with Angelo Dolmetta. We have no business relations with websites, but we talked to the Chinese who are preparing and we know that there are technical problems. It will take so some time (Maybe a month). In the meantime you can go to Alexis who already has a few prototypes. you're talking about a 3D scanner for geological prospecting right? Hello Livio, I apologize, I missed the post, I wasn't talking about geology, but something acquisition of properties, buildings or objects in 3D and then replicate them with the 3D printer. I was looking for something to stand alone and not deva connect to the internet…. The software 123D is a stand-alone. You just have to download it from the internet, but then in use locally. Salve , first I would like to congratulate you, I stumbled by chance on your site and I have to say seeing your projects are re asto hit, good guys. SARE interested to the project surveys geoelectrical data. I wanted to ask if you are aware of online stores where you can find cards already assembled (I'm not very good at achieving them ). We have only done the project but do not manufacture and sell hardware. I know Angelo Dolmetta and Antonino Rad are doing experiments and prototypes. But for now nobody builds them, tap influence people. Is there a way to show a sw thermino interface RS232 and USB as non-commercial? Commercial software, without the Theremino HAL who acts as interpreter, see only raw data, impossible to understand. And would never be able to configure a Theremino Master, recognize its Pin, configure them within thirty possible ways (ADC, Servant, Stepper, DigIn, Digout, PWM etc…). And’ can instead, and also very easy, to connect a serial with the slots on the system Theremino, and then eventually with the Master, through Theremino HAL. There are various examples to make it. To speak with one or more Theremino Master, the Theremino HAL it takes forever. If you use the system Theremino without Master modules, then you don't need USB and HAL, you do everything in software and communicating with the only Slot. Good evening, I just made an instrument with three Geophones and accelerometer 3 axes. 1) in theremino HAL Geophones are parameterized ADC16 1000, 0, 100…. accelerometer channels instead how are set? 2) It is possible to acquire six channels simultaneously, with three velocimeters and three accelerometers? It seems to me that Theremino is only one or the other mode. Accelerometer channels generally should be set as you wrote. Though there are various types of accelerometers. That of an Italian manufacturer, what you buy on eBay (He also with LIS344 but with different wiring diagram) and other types that some are built in DIY. And then there's the triple preamplifier to increase the sensitivity of accelerometers that otherwise are pretty deaf. To understand the situation I need the wiring diagram of your accelerometers and know how they connect. And I hope that the schema is readable, those of some builders are very small and do not read component values. You're probably using the application Theremino Dolfrang, which is made to help you get the most from HVSR surveys. But I think that you are more interested in other applications. Angel software advise you much better than ours. We make good hardware but software the expert is Angel. in fact it is just the accelerometer manufacturer Italian… I am not aware of triple Preamps…. I'm a freelance geologist who uses very hvsr and, even when only a good seismograph 24 bit (daqlink 3) and geophone Triaxial, I want something more practical for field work…. For this application the HVSR Dolfrang is great and probably accelerometers do not improve the results. But you should ask the angel who tried all configurations and will give you the right advice. We have improved the previous answer, now the boards are more precise and there are also links to the amplifier and treble Adc24. can anyone tell if with space for connecting to the Geophones 14x17x7 box still fits (Maybe we need to stem the wooden block to leave the necessary space to tabs all on one side instead of 2 CM per piece. The master indicating differs from the original design and (According to our principles) poorly built and unreliable, Why wouldn't updates and support. And finally, will soon be ready the fantastic new directional analysis of UFO, done at Dome. But will the spaces excavated giusti for Master and Adc24, manufactured according to our projects (i.e. 60 x 40 mm and 60 x 35 mm), and these Master's degrees from 50 x 50 There would. Ok, Thanks for the clarification Livio. Having no knowledge of electronics seemed a good idea to direct the adc24 wireless master and have all the pins align …..
No problem is not a controversy, simple technical notes and recommended action. The two stacked modules there are just. Good morning, following your plans and taking advantage of your modules I'm making a seismograph to replace to new electronics that after 20 years of loyal service fell victim to … a little girl 4 years!!! The question I want to ask you is if the sensor horizontally in the long period of no and. can be used with the Theremino and its ADC 24. This in order to increase the field of “receiving” seismograph. PS: really excellent project SDR nothing to envy to other software around. The horizontal sensor is definitely useable with Adc24 but three Geophones on the three axes are much more comfortable, small, sensitive, same as answer etc… And as they don't cost much probably should retire even horizontal sensor. However the Adc24 is so sensible and has such a dynamic that you can collegargli everything and you will always have good results. I don't remember voltage coming out of the new electronic sensor if it were more than three volts put a resistor in series 10 K to limit the current, as well explained in the instructions of adc24. If you need anything else please write back, Hello, Livio. Thanks Livio for the prompt response. use me patience my name is vito eastley. I emailed angelo dolmetta several times for a geo tomograph. He told me he was being finalized. Hello everyone ,anyone knows the ground-penetrating radar and how to build them? Salve, using the system theremino as buyer for earthquakes,the system is composed: Master dil V5, ADC24 a vertical and two horizontal geophone, USB cable from 5 Mt, Mini Pc running Windows 10 that remote control, the system processes the signals via the program Dulquake. After months of smooth operation in operation 24/7, in the last period I moved the outdoor sensor in a sump pond basement (Let me start by saying that there is no trace of moisture inside the cockpit). Since then I have the following problem: communication with the ADC24 crashes, the Hal program keeps running (the counter of the repetition fps runs smoothly) but the counter values pin9 ADCout is locked (as well as three Geophones counters), not signaled no communication error and the program continues to run Dulquake regolarmete; of course receives a signal from the master plate. If I go in the riseleziono and ADC24 resumes regular pin7 without even restarting Hal or Dulquake. This happens without a precise deadline, Sometimes after minutes, Sometimes after hours. For those who can help me are available sreenshot of the Windows. Caio and thanks for your experiments. Will help improve the system. First of all some advice: to restore's best press “You acknowledge”, rather than reselect Adc24 on Pin 7. Then to understand from where comes the problem I need to know the following details. Where is the wire that has been lengthened? One 5-pole between the Master and the Adc24 or the USB cable? What is the length of the connecting cable? What kind of cable is (shielded, twisted etc..)? The cable passes parallel to electrical wires? And how far away from the wires of the electric system? Good morning, no cable was lengthened, Geophones are connected with shielded cables that I have been provided with the kit as well as the flatcable between the ADC and the master (the adc and the master are housed within the weatherproof sensor), the usb cable is a standard cable (one of the printers to be clear) original and long 5mt, This passes in a cable duct alone without encountering electrical cables. To get an idea in my site to page “sensor” There are photos of the installation. The system worked for months at home on an ongoing basis without giving the slightest problem, and at this early stage the usb cable was in the midst of other electrical cables, yet work properly, now would improve instead there is towards. I looked at the pictures carefully and it seems all studied in the best possible way. Just make sure the mass of the Master and of the inner box are isolated from the metal of the outer box. Try reducing the speed of communication from 12 to 10. Try changing the USB cable. Try replacing the cable that goes from the masters at Adc24. The following steps will eventually try to change the PC, the Master and the Adc24 (which of course you would be replaced without problems). Among other things the PC is the same as when it was? (Some PC or notebook might have the 5 Volt USB noisy and unstable). Isn't that to save power every now and then the PC off USB power? (is there a setting in Control Panel). Isn't that defects occur during thunderstorms or when you turn on some machines? Taking 220 where he is now stuck on PC is the same as when it was? Try to bring everything back into the House and see if it still does it. Just doing tests like this one can understand. the equipment is the same as when it worked, obviously now is powered by a different outlet, I tried to put everything under ups but no results, the three Geophones are connected with the mass of the adc that is in turn connected with sensor canister, This is directly connected to a dedicated earth plate, I tried to disconnect this earth connection but I got no changes…It's as if the adc is lost, the mini pc is always the same. the cockpit is plastic. For the development of the project are in contact with Mr. Angel that should turn around pictures, in software we tried several alternatives, I also tried to run older versions of the program that worked perfectly but I got no results. The usb cable will change Monday, I caught one of excellent quality. I'm almost certain that the problem lies in the fact that the mass of Adc24 or Master are connected to an additional mass, a land, canister, the “sink” or else. The GND of the Master and especially of Adc24 must remain “floating”, that is isolated from all. And also from a canister that encloses them. The GND of the Master and Adc24 are electrically connected only through the USB cable and the mass stretching from master Adc24 drizzle. Shield with grounded metal containers is a good thing, but absolutely must not link these containers to the GND of the Master or Adc24. The yellow-green wire leading to the container (or containers) shielding materials, should bring the Earth from inside the House and following the same route the USB cable. And must not be connected to an external land (the “sink”). Begins to fix these things then we will see. Adc24 connected to the box. PC connected to the net. Think a little’ What happens when the Earth comes a impulsive disorder network by hundreds of volts. This creates a very strong current on cables from your PC, the USB cable, to the Master, the Adc24 and finally to the ground. The weakest link on mass Master Adc24 colleague tad has to endure all the current and easily develops tens of Volts at its ends. And’ already so that it doesn't break anything but definitely the communication between the two stops. How come the two lands can be found with impulsive disorders that lead to hundreds of volts of difference from each other? For example for lighting of large motors, but perhaps it might also suffice the lighting of a fridge. And certainly the current induced by lightning can do worse. Lightning not falling on the wires, but the current which induce on long wires, even hundreds of metres. In conclusion the Earth sticks on one side only, otherwise you create “rings of masses” they are terrible and they can do much damage. Can Dolfrang v.5 software run and work with multiplex master and adc24 module for to configure 24 channels ( ejem. 3 adc 24 in diferential mode) simultaneously ? how to configure 24 channels with ADC24 and master module ? I followed all the instructions, that you point out above . all masters and each adc24 are connected for the 24 channels. the slots were manually reordered. and I put the same configuration for the HSVR, but when I run Dolfrang all traces are empty, not recording. including geophones connector, what are happening ? Dolfrang application need some aditional driver or register ? 1) The application HAL must be active during the acquisitions. Do not close the HAL application. You can minimze the HAL but not close it. 2) Test with the application HAL scope if the channels are working. Livio, I heard Angelo Dolmetta multichannel seismic to do seismograph project. Told me to move the project forward we need new hardware. When will it be available? If you mean the Adc24 connected to the NetModule via Wifi, probably a few months. If instead you talk of UFOS must ask to Prakash thereminoshop, because on that we finished them projects, and now it's up to the manufacturer to get busy. I refer to the connection via wifi. In order to connect several Geophones and so if possible we can do some real seismics, Active. Thank you. Though the NetModule cannot directly read the Geophones, have an Adc to 10 bits and have only one. Why we are starting, these days, the long journey that eventually will allow us to connect the module Adc24 to the NetModule. We are almost sure to succeed but it will take months, I can't say anything more precise than this. Meanwhile, those interested in embarking on this road would do well to learn how to use the NetModule and NetHAL that, passing via WiFi and LAN, bring complications to be reckoned with. IP Addresses, WPA2, Password, DHCP, private local networks, and public domain, doors, Firewall… If you do not know much about the nets and their quirks you might encounter great difficulties. So before starting with, for example,, eight NetModule and eight Adc24, pickets, access points etc.. Council to provide a single NetModule and the NetHAL and the NetModuleProgrammer and learn how to use them. I already adc24 and a master's degree and three Geophones to the directional analysis. When they fixed the issues linking the Adc24 module to start trying to accomplish the NetModule tromo-wireless.. Meanwhile, How do you suggest I, as soon as possible will take a NetModule on thereminoshop. Thank you. Be warned though that the only improvement over the Master + Adc24 will be communicate in WiFi and do without the USB cable. The maximum number of samples per second will always be the same, that is, from 500 to 900 Depending on the conditions. This limit is due to the maximum frequency of trade that the operating system can support. Are a thousand per second (on Linux and Mac). And this limit is not going to get through it with no future version of modules. Theremino the system communicates individual samples to have a direct connection to sensors. So for each sample the PC can respond immediately and not have to wait, as in other systems, It's the entire block of samples. This one side allows us to have minimal latency (little more than a millisecond against hundreds if not thousands of milliseconds to other systems), but imposes a limit of 1,000 trades per second. Then you can make MASW and REMI, but you can't make the kinds of seismic refraction needing less per millisecond. A few days ago I got my master-v5+adc24. I am a completely newcomer. As a civil engineer that uses geophones for measuring structural vibrations I am realy amaized about the capabilities of the theremino platform. I read the adc24 help pdf but could not figure out how to connect my geophones (sm6-4.5Hz B-coil) as single ended correctly. Differential and pseude-diff gave good results but I do something wrong when trying to run the adc24 configured as single ended via HAL. Jumper on 3.3V on adc24. First Geophone on 1+ref, second on 2+ref …. . Then I run Dolfrang 5.3 and can see nothing. I tried out all settings in Dolfrang. Again for diff + pseudediff it works fine. But not for single ended??? In HAL the pin details show meaningfull data! The singleended connection is only required if you need to connect 16 inputs. Do you have the necessity to connect 16 geophones? It is not possible to set gains different from “1”, while using the singleended mode. Thank’s for the answer. With the procedure you described it works. But I think is’t fare easier to use just 15 channels. Meanwhile I studies some projects in order to learn how to stream the adc14 data continually to a file (if possible eache channel to a different file). Can you give me any advice where the theremino classes are described in a bit more detail. In my small structural dynamics lab I try to build a simple data logger as described in the adc24 documentation. Any advice here? May be there are some other people doing the same. If I’am finished I send some pictures of the logger. Thank’s again for the answer and the GREAT theremino plattform. I’d like to order some “Theremino GeopPacks (Master V? + ADC24) could not find it on the internet any more! You could copy the structure from our datalogger. In this application you will find all the necessary classes and functions. I suggest to start using our datalogger application and change it progressively as you need. On ebay.it the adc24 modul or the master+adc24 is no longer available at the moment. Well, I’ll contact Lello now. I translated the Dolfrang Language File (Language_DEU.txt). If some wants it I can send it. Please send it to engineering (at) theremino (dot) com. Wie will include it in the next versions. Can I use master +adc24 with geophone Teledyne Geotech S-500? I’d like to order some “Theremino GeopPacks (Master + ADC24) + Net module, actualy is available on eBay. You may use the Geotech S-500 but is rather complex plug. 1) You should provide +12 this was -12 volts, you do not find on any of our modules. So you should find (maybe on eBay), a switching converter, which generates the two voltages +/-12, starting from 5 volts. Besides, use switching power supplies near sensitive Input modules can easily cause disturbances, so you should to wire and install everything with care and experience. 2) You should lower the voltage of the output signal S-500, with a resistive divider, so you never exceed 3,3 volts used by the Master ADC, dell'Adc24 and Net Module. 3) You should also add a resistor connected between the 12 volts (and in this case the 12 volts must be stable and not noisy), and the center of the divider, so as to shift the voltage range centered on zero (from -12 to +12 volts), in an entirely positive range (from 0 volts to 3.3 volts). 4) If you will not use the Adc24 set as differential inputs, because the output of the S-500 is not. If you decide to proceed and do not know how to calculate the three resistors of the divider, write back. I think it well you that is not connected to the Adc24 NetModule NetModule and that has only one ADC, among other things quite noisy because disturbed by radio.